The Ubuntu Edge smartphone campaign never reached its lofty $32m goal , but the more than $12m in pledges it received was record-breaking—and Canonical hasn’t given up. Ubuntu Touch for phones just hit “release to manufacturing” status. The first official version is done, bugfix’d, and ready to go. It’s coming on real phones, too, with the first phone with Ubuntu Touch shipping this December. As the Oppo N1 was to CyanogenMod, the Meizu MX4 will be to Ubuntu. You’ll soon be able to get phones that ship with officially supported Ubuntu software—no more hacking around on Nexus devices. On September 16, the first “RTM” version of Ubuntu Touch was officially released. If you’re one of those geeks who flashed Ubuntu Touch onto a Nexus 4, Nexus 7 (2013), or Nexus 10, you can now upgrade to the latest release to have a more stable experience. This stable release isn’t all about fancy features. If you’ve checked out Ubuntu Touch before, you probably know just what to expect. (The Inquirer went hands on with a very early version of the OS in March if you want more detailed feature impressions.) As the release announcement email puts it: “...all the landings are mostly bug fixes, as the time for features has passed.” Ubuntu will likely fix additional small bugs before the system appears on phones for end users, but it’s basically done. Bug fixes and a stable platform may not help build hype, but making Ubuntu Touch run stable on real hardware without any crashes, freezes, or other big bugs is an important milestone. If you tried Ubuntu Touch and experienced issues, they should now be fixed. Of course, operating systems are never really finished. Version 1 is about getting Ubuntu Touch done—now it’s time to work on new features and bugfixes for future versions. 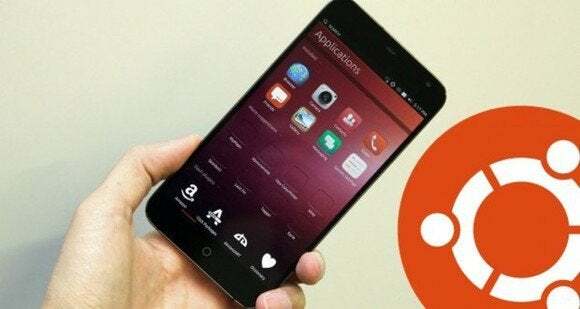 In February, Canonical announced that China’s Meizu and Spain’s BQ would be the first smartphone partners making Ubuntu phones. They promised these phones would be available globally thanks to online sales. The Meizu MX4 (Ubuntu Edition) will ship in December, and it will likely be the first Ubuntu phone. It will use the MediaTek MT6595 system-on-a-chip, Meizu’s Italian blog— here’s a translation. The standard version of the Meizu MX4 will run Android, while it seems the Ubuntu edition will also ship on a more powerful “Pro” version of the phone. Details are scarce on its hardware, but a leak from iGeek suggests the Pro variant may have a Samsung Exynos 5430 processor, 4GB of RAM, and a 2560x1536 resolution screen. Not too shabby! Meizu and BQ Ubuntu phones. This more powerful hardware is good news if true, and it bodes well for Ubuntu’s vision of computing convergence. The eventual goal is to have your phone act as the brains for your PC, so you connect it to a monitor, keyboard, and mouse and have it drive your entire desktop computer experience, switching between Ubuntu Touch and the desktop version of Ubuntu to fit the interface you're working with. A BQ phone could ship soon, too, and maybe even before Meizu’s. We haven’t seen any leaks about it yet, though. BQ just showed off a BQ Aquaris running Ubuntu back in March. 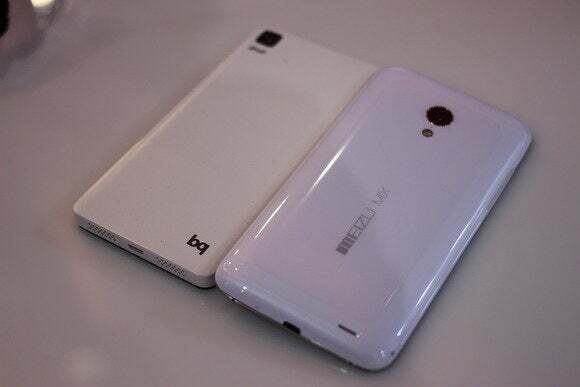 Plans can change; at the time, Meizu was going to release Ubuntu on the Meizu MX3, while it now looks like the Ubuntu edition will be of the newer Meizu MX4. BQ could put Ubuntu on a newer phone, too. We don’t know exactly how much these phones will cost. However, they will be sold off-contract, and you can expect the pricing to be more mainstream than the $749 iPhone 6 Plus. 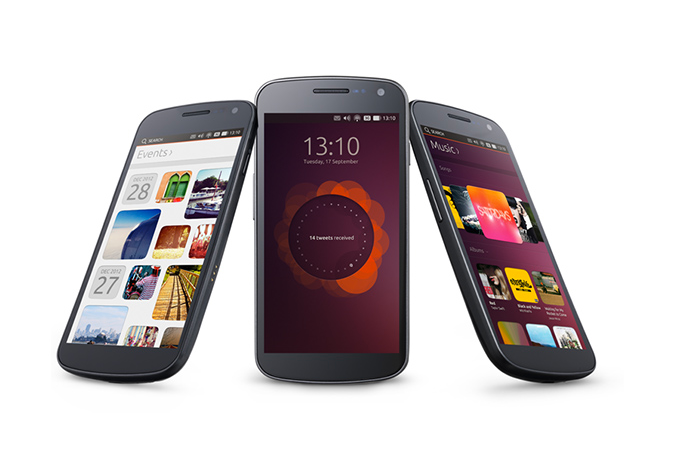 In March, Mark Shuttleworth shared Canonical’s pricing vision for phones running Ubuntu at CeBIT. He said they would “come out in the mid-higher edge, so $200 to $400.” Canonical is shooting higher to provide a good, high-quality experience, while Mozilla is chasing the extreme low-end by trying to make $25 Firefox OS phones. Pricing is still up-in-the-air, however. Canonical quickly clarified to Ars Technica that "the final pricing structures and go to market plans will be set by our partners, Meizu and BQ."